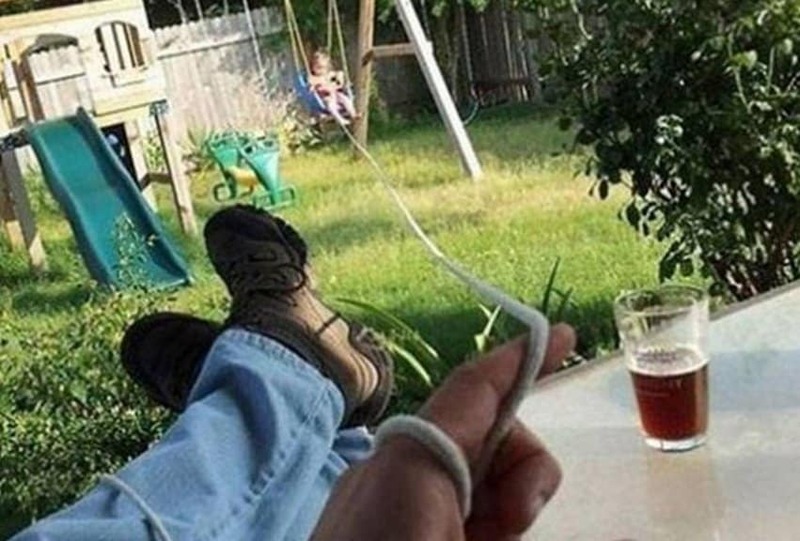 It’s important to spend quality time with one’s children, as this man clearly knows. 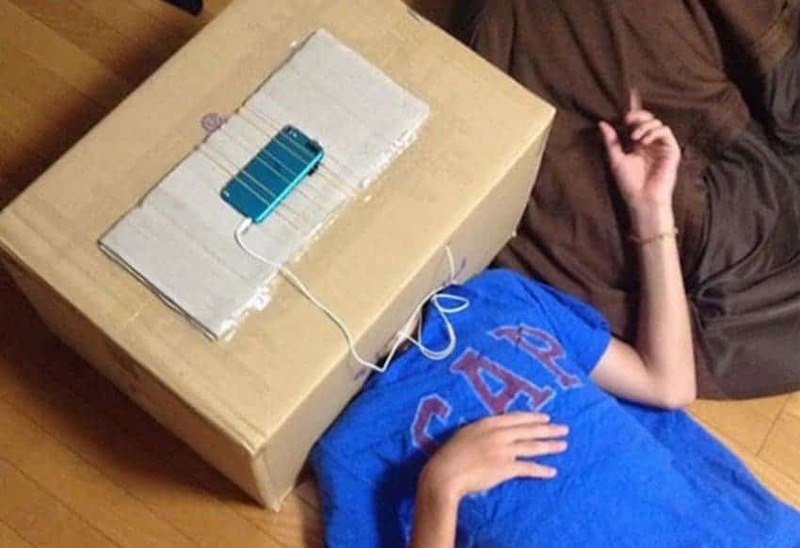 This guy couldn’t just hold his phone and watch videos like a normal person, he just had to cut a hole in a box and lie down! 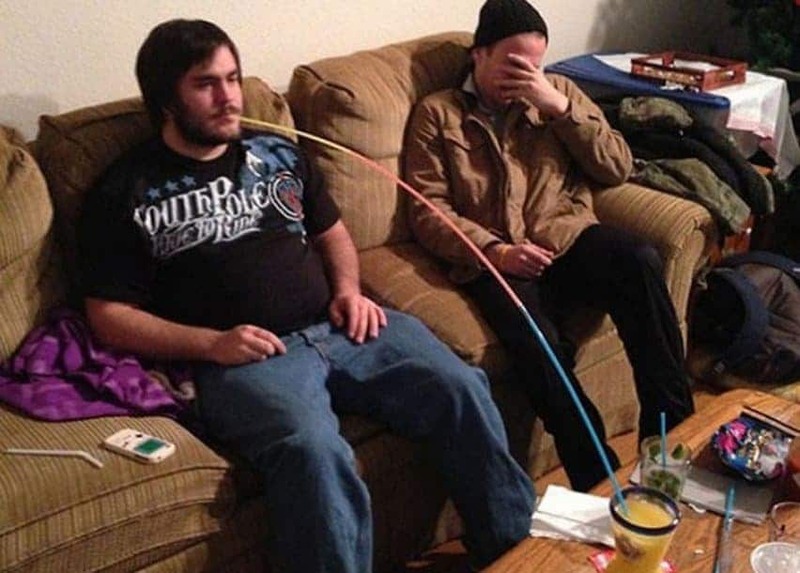 The best part about this photo isn’t the lazy guy with the straw, it’s his friend that’s clearly embarrassed for him. We just couldn’t believe this one. 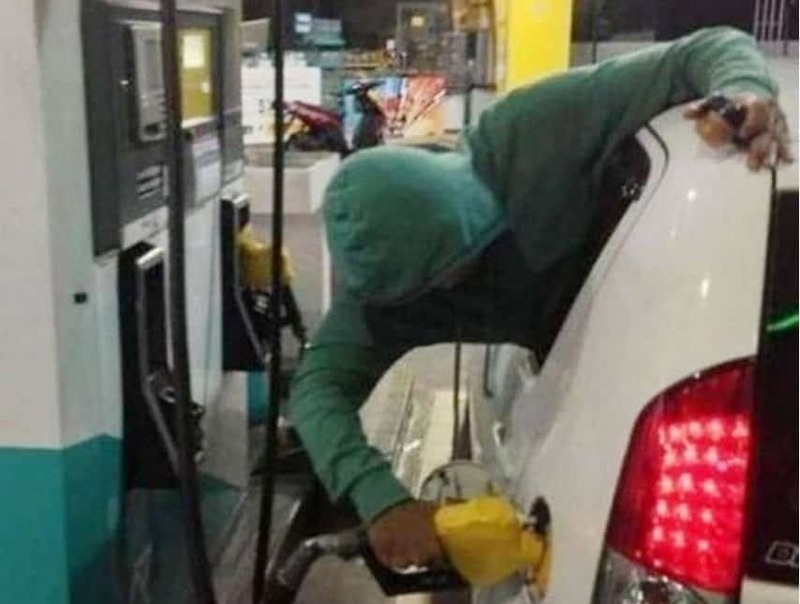 Is it that hard to hop out of your car, put the pump in your car, and then sit back in your car while you wait? 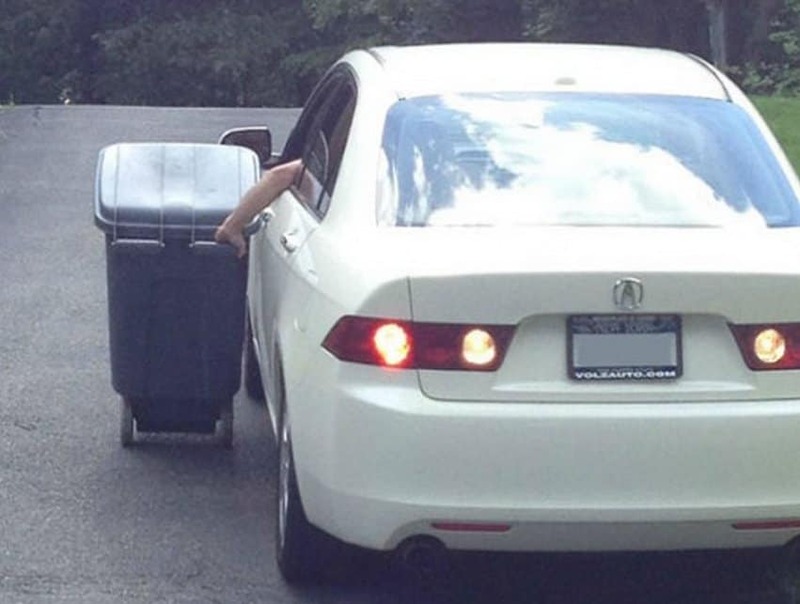 We can’t believe this guy is actually doing this, or that he can balance the garbage can. Our money is on the can falling over at some point. 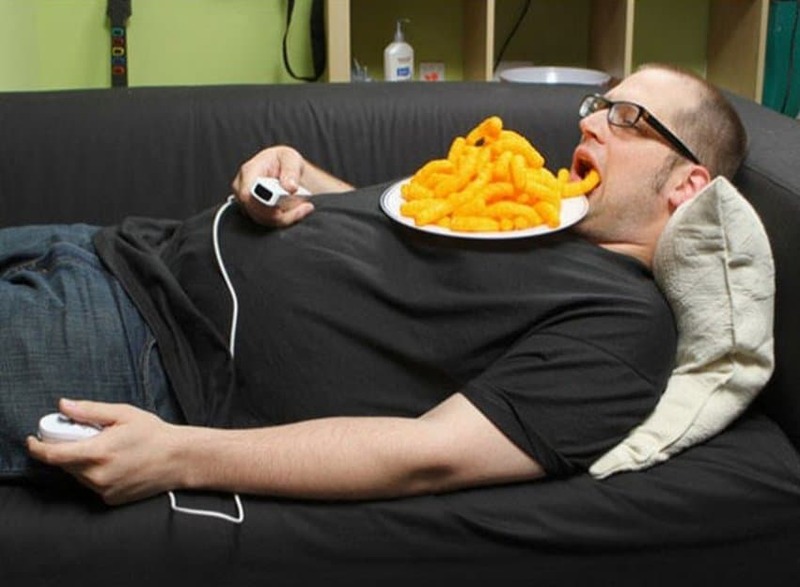 How Many Cheese Puffs Can You Eat Without Using Your Hands? 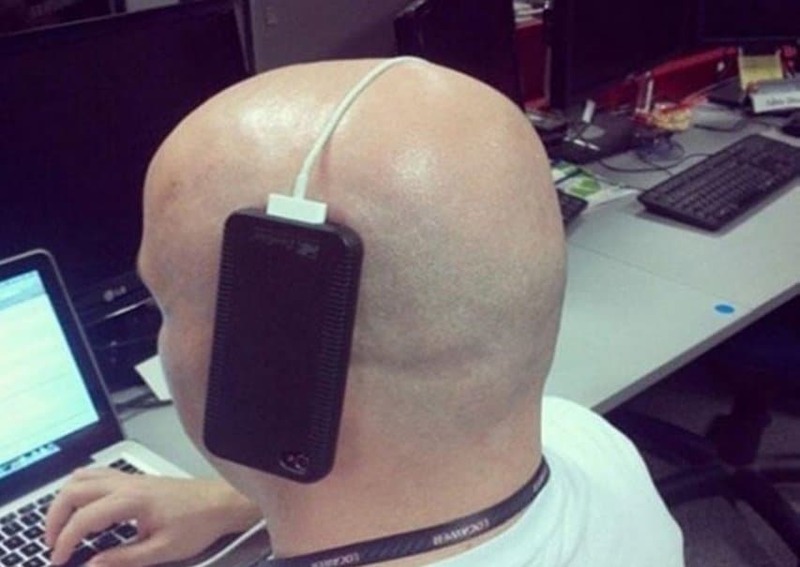 This is pretty bad, need we say more? 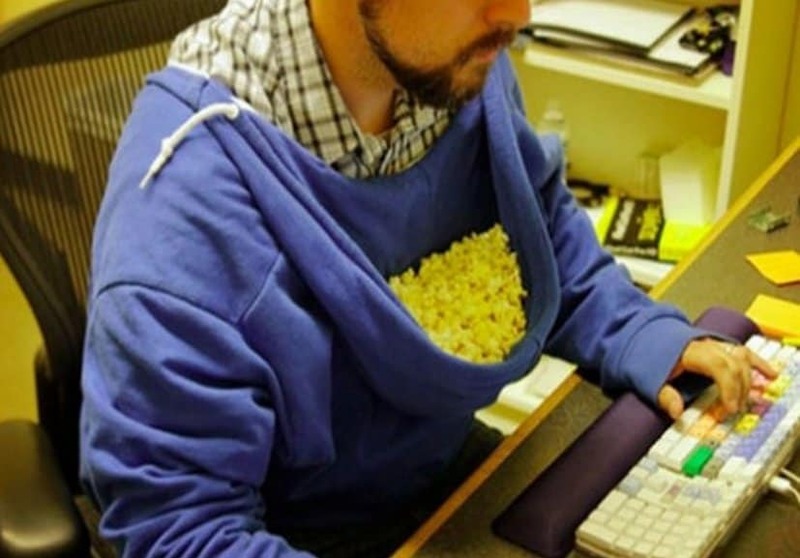 The guy is playing video games and is too lazy to pick up his snack! 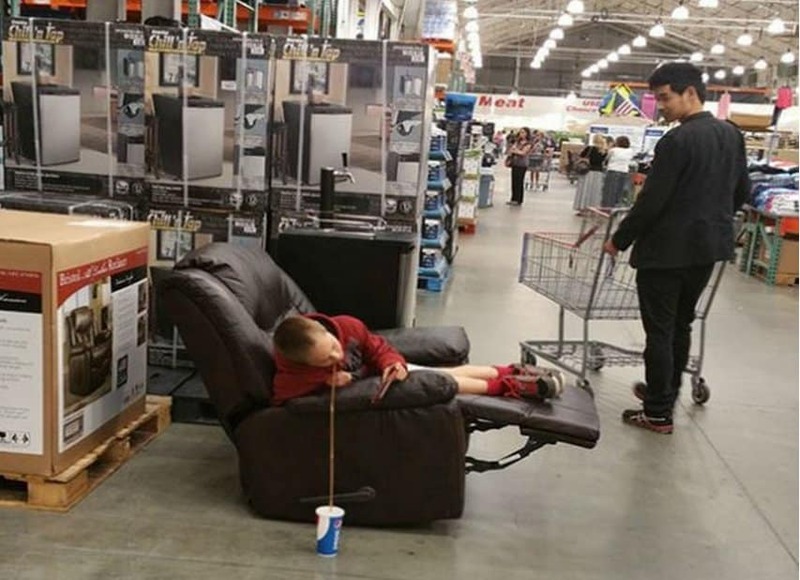 We’re sure the store appreciates this kid not holding the soda in the floor model chair, lest he accidentally spill it. Honey, Will You Take Out The Trash? 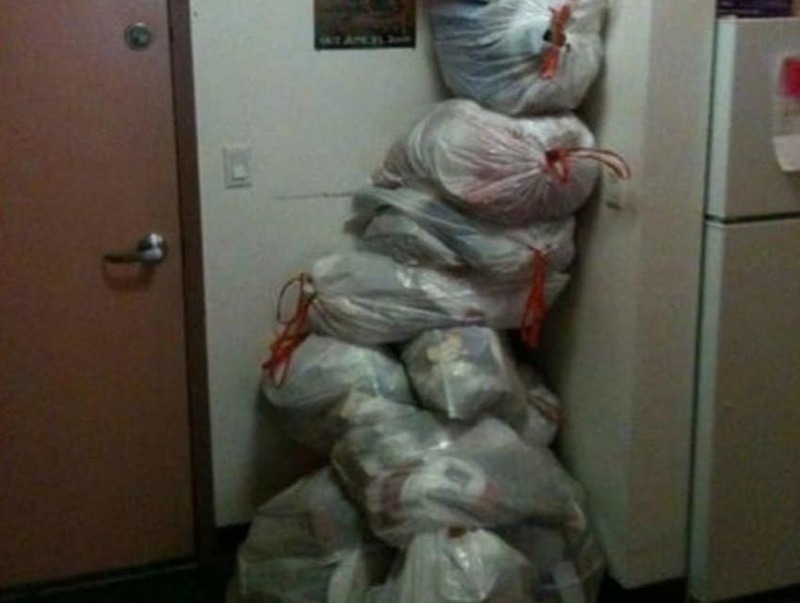 Why take out the trash regularly when you can simply pile each bag on top of the previous one? 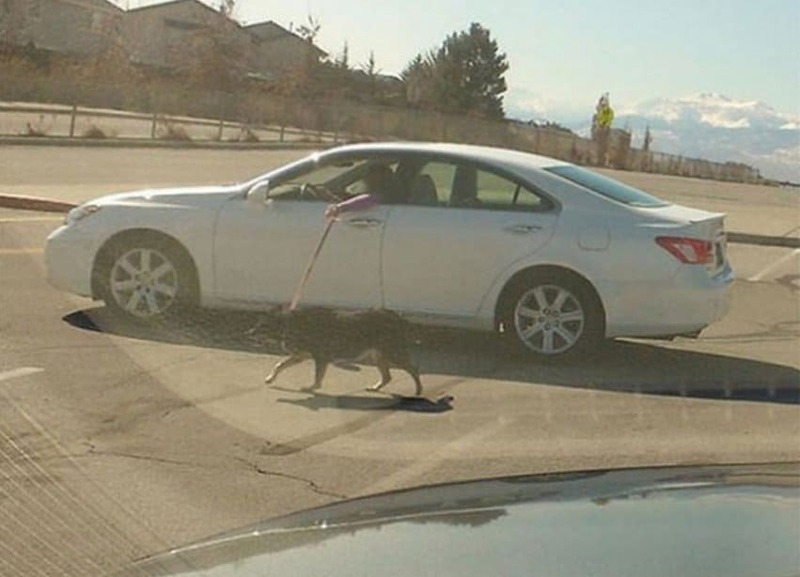 Pure laziness. 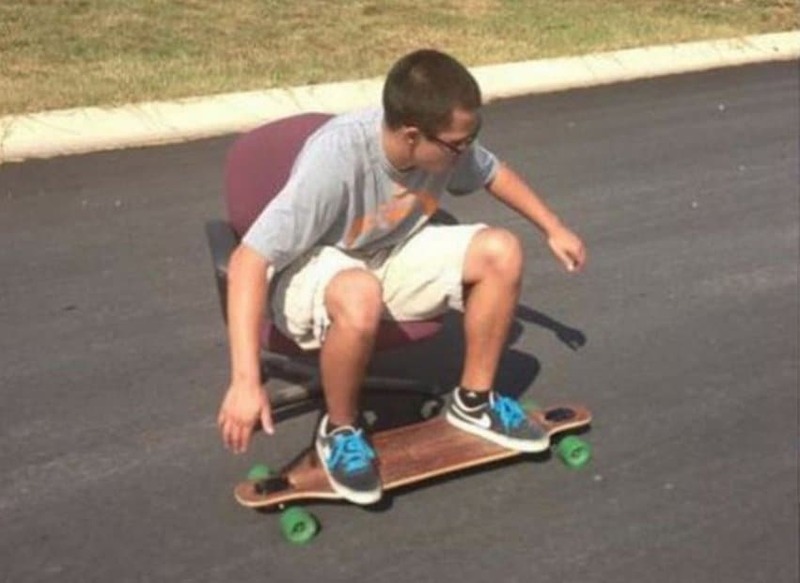 This is proof that kids these days are just lazy, so it looks like our grandfather was right. 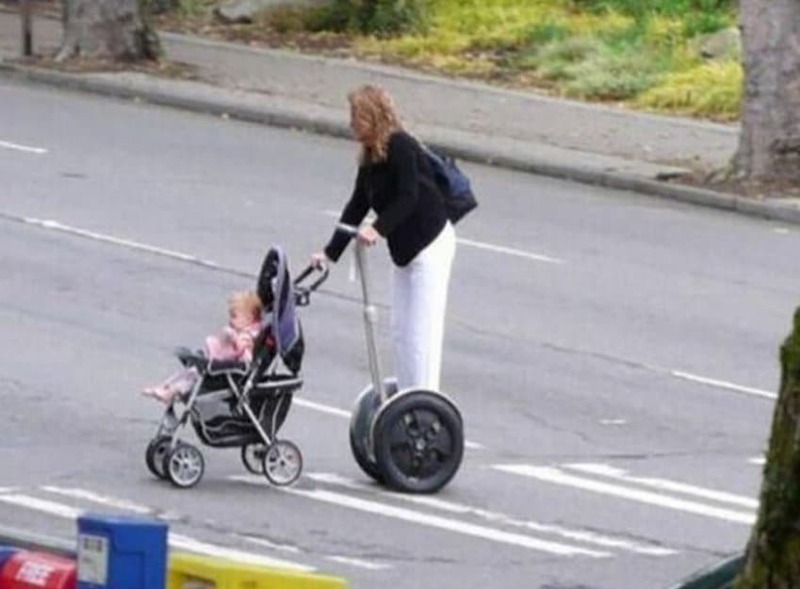 Who Wants To Walk Their Child When They Can Segway Their Child? 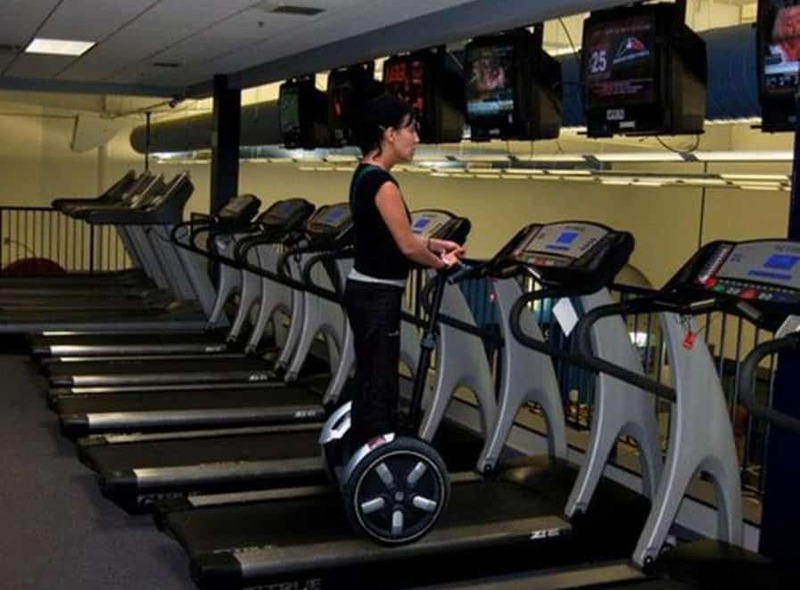 We’d like to think that this woman is just too excited about having a Segway, unfortunately we’re pretty sure she’s just super lazy. No Way We Are Picking Up A Cup On Vacation! 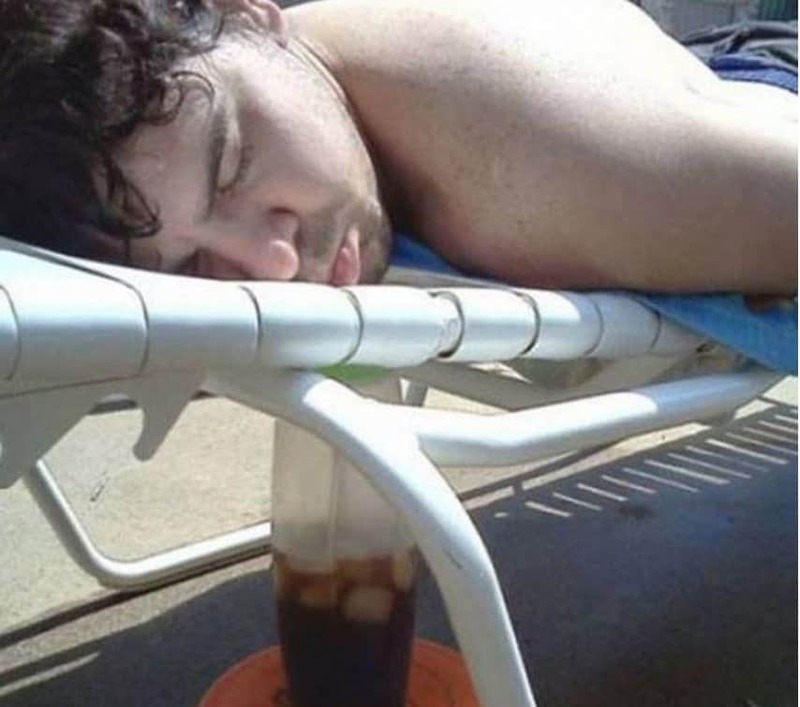 Vacations should be time away from ones regular day to day struggles – including picking up beverages. 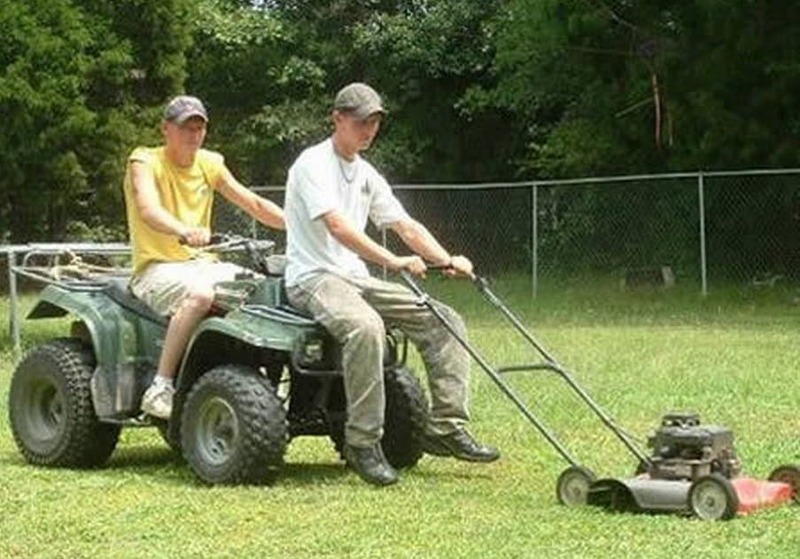 We just can’t believe these guys are that lazy, perhaps they should invest in a ride-on mower? 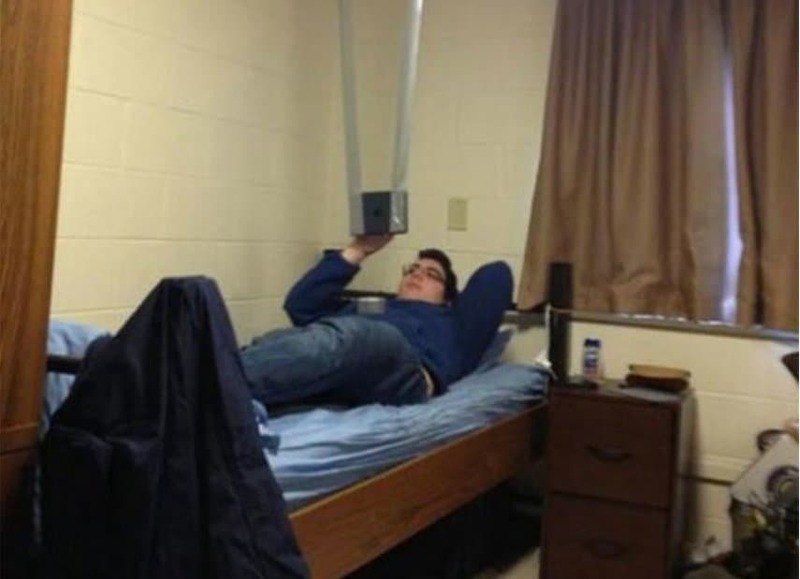 Not only is this super lazy, it can’t be safe either! 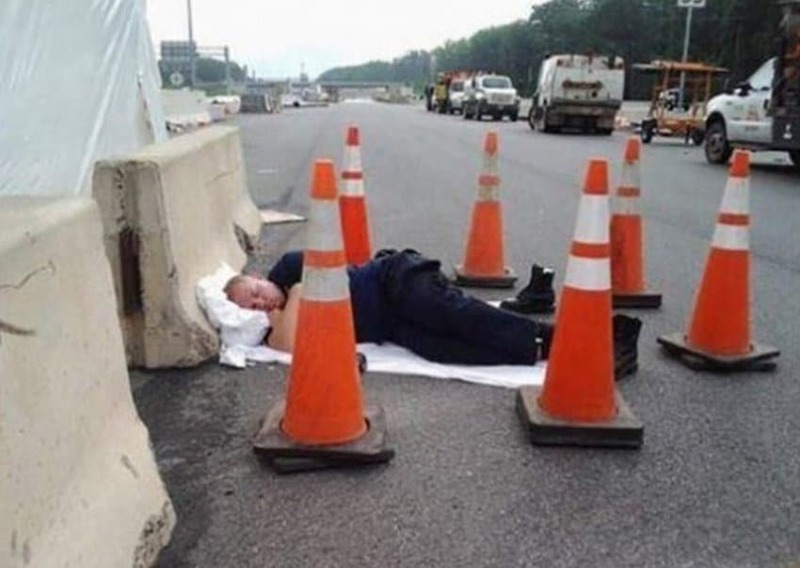 We’re not sure what exactly this guy is trying to do, but it looks pretty darn lazy to us. 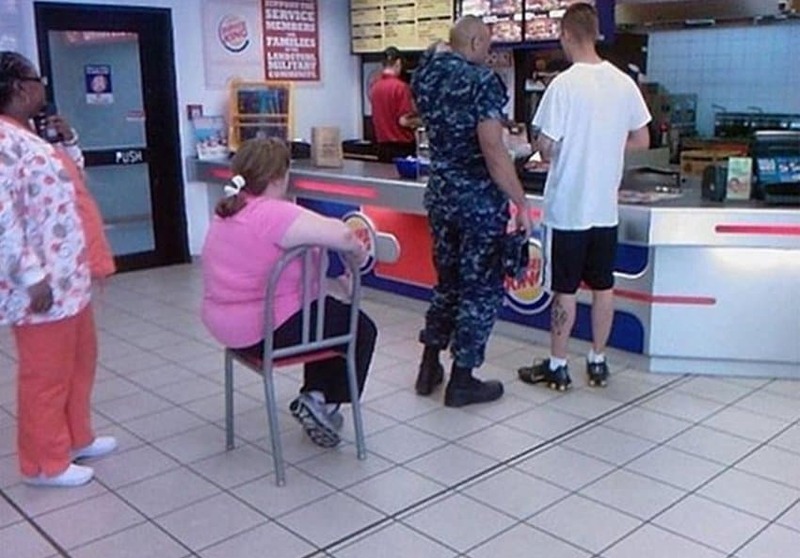 There’s only two possibilities with this one, the woman in the photo is super lazy or did this on a dare. 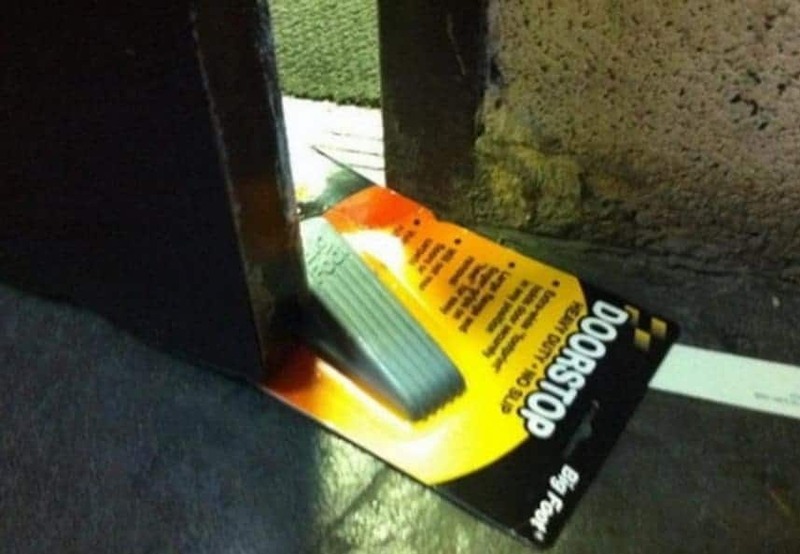 You know you’re lazy when you won’t take a door stop out of its packaging to stop a door.